I am often asked about diseases or conditions that can affect both humans and our pets. Some of them are zoonotic, which means they can be passed from our pets to us (these are rare, and I’ll discuss those in another blog)- and there are diseases that our pets can develop, which are similar or almost identical in the way they develop or effect us. The list of these diseases seems endless- from cancer to heart disease, liver disease, dental disease and more that can effect both humans and our pets. As we age along with our pets, our the quality of our eyesight can also diminish due to disease. But did you know that our pets can also develop Glaucoma? In some pets, Glaucoma may be hereditary or genetic- and it is not uncommon for some breeds to develop the disease. These breeds are, but not limited to- Basset Hound, Chihuahua, Beagle, Chow, Dachshund, Siberian Husky, Maltese, Samoyed, Cocker Spaniel and Miniature Poodles. What is Glaucoma and what are the effects? Simply put, Glaucoma is increased pressure within the eye. 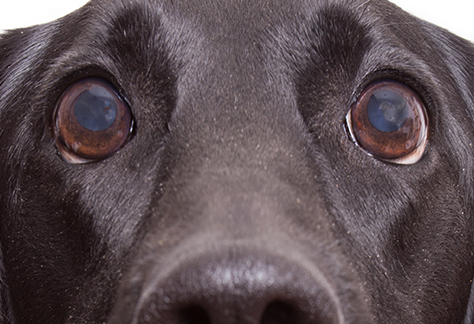 Our bodies- (and your pet’s) regulate ocular pressure with fluid that passes through the eyes. If there is too much fluid in the eye due to poor drainage, the pressure increases. This can cause permanent damage to both the retina and the optic nerve. Depending on the severity of the increased pressure, the condition may result in severe pain. Many cases begin in one eye, with half of these cases spreading to the other eye if left untreated. If left undiagnosed and untreated, the pet will likely become blind inside of one year in the affected eye. If you notice any of these symptoms, call your veterinarian for an exam as quickly as possible. 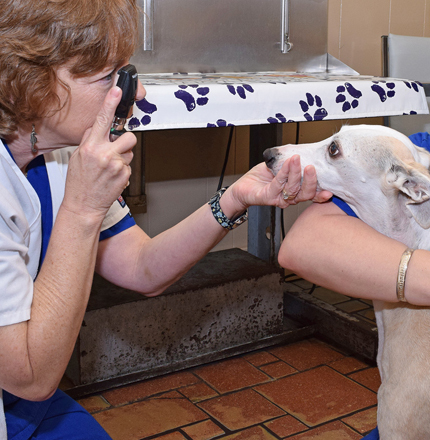 At Tampa Veterinary Hospital, we offer Tonometry- which is the same way that many human optometrists test for Glaucoma during your eye exams. We have a device called a Tono-Pen, which uses a puff of air to determine the amount of pressure on your dogs eyes. If the pressure is higher than the normal range, we will discuss treatment options which may range from something as simple as daily eye medications, oral medications. In extreme cases, if the pressure is too high, surgery may be required. A referral to a veterinary ophthalmologist may be necessary. Like most diseases, prevention and early detection is critical, and Glaucoma is no exception. Imagine somewhere down the road that your pet can’t fetch their favorite toy- or is unable to find their way to their water dish. These are real consequences if Glaucoma is left unchecked. Talk to your veterinarian during your next visit about Tonometry if your pet may have a predisposition or is an at-risk breed.